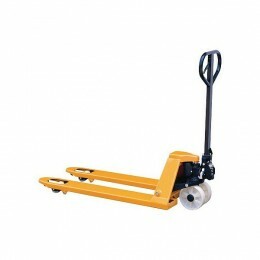 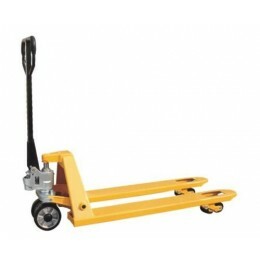 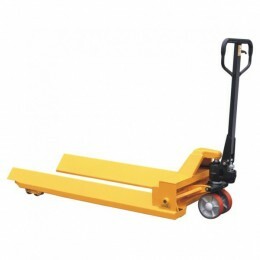 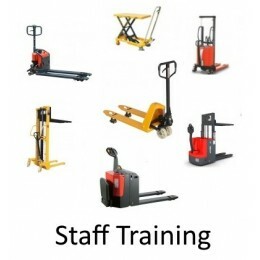 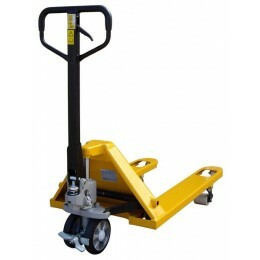 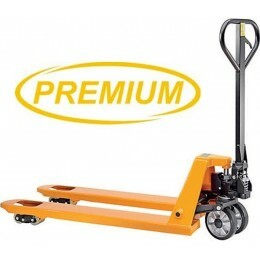 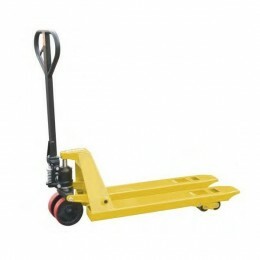 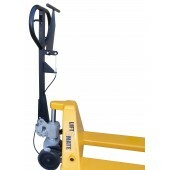 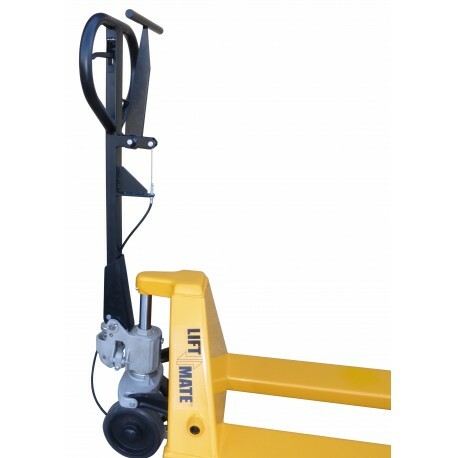 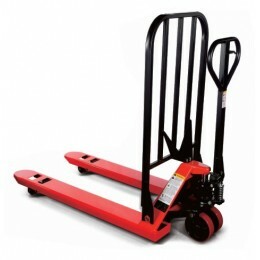 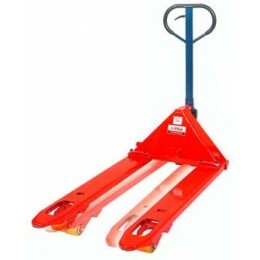 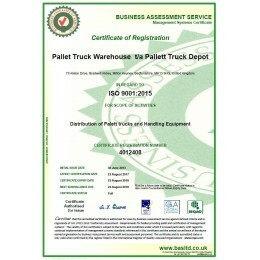 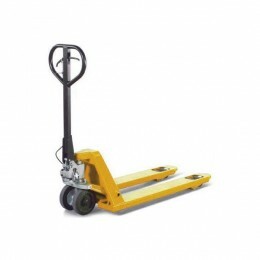 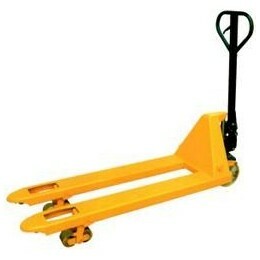 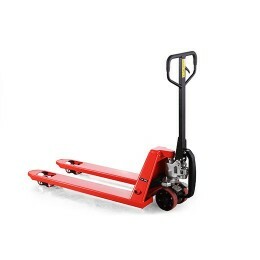 EURO PT-04DB pallet truck is manufactured to be compatible with Euro, UK and Chep pallets. 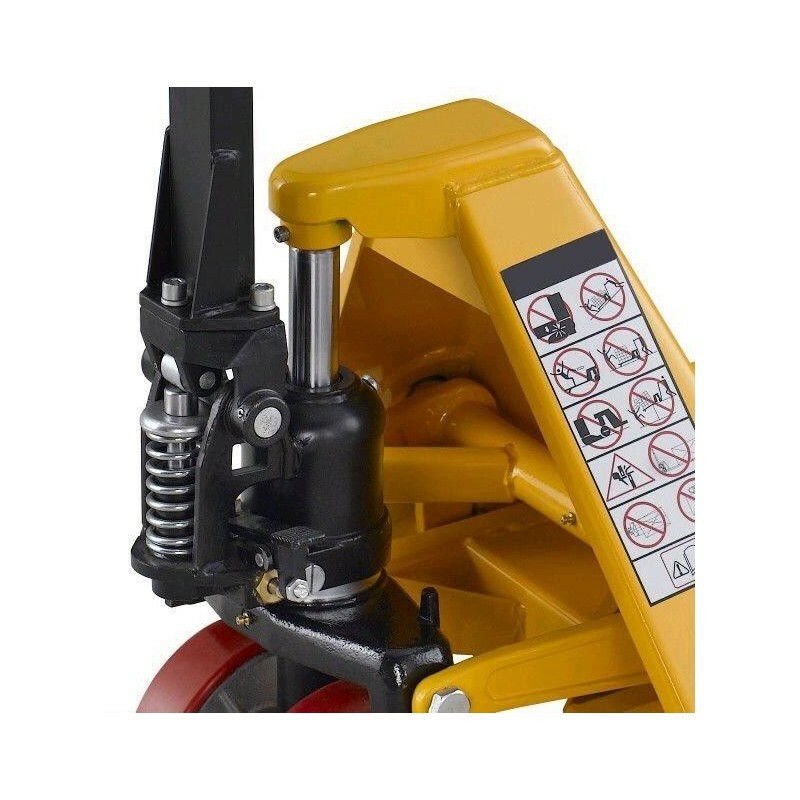 It is supplied with a channel reinforced frame, German pump unit, tandem rollers as standard and a Deadmans Brake for instant stopping. 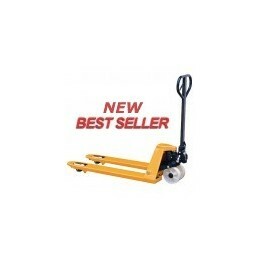 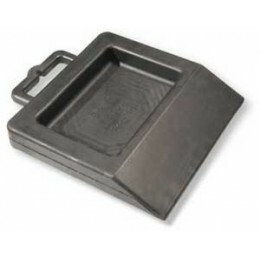 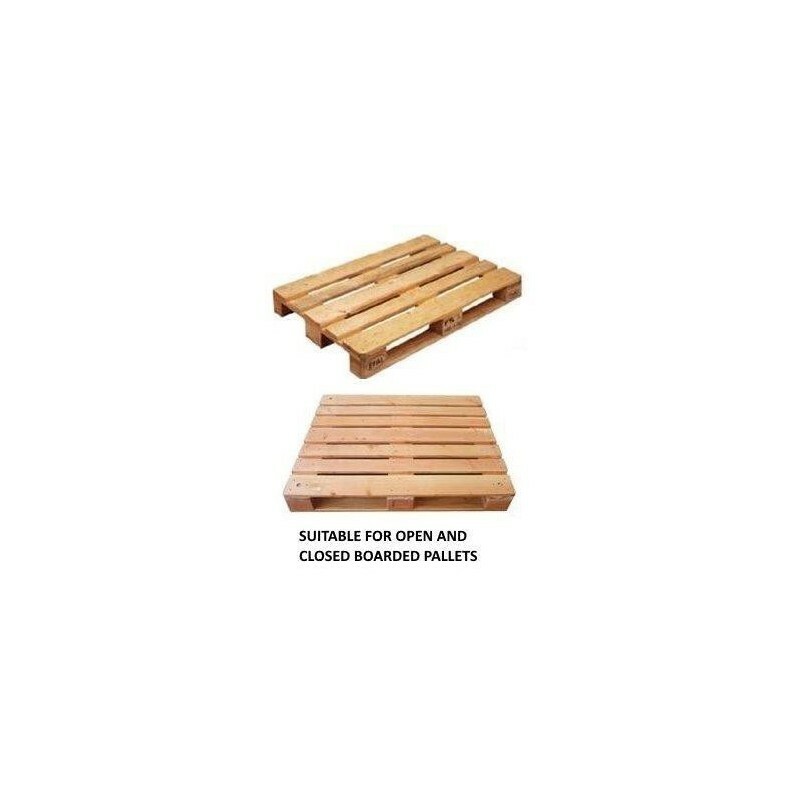 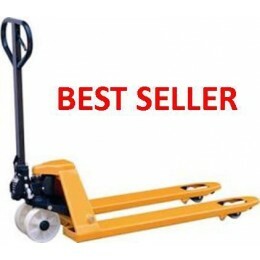 Suitable for EURO, CHEP and UK sized pallets - one of the best selling in the world over 1,000,000 units sold! 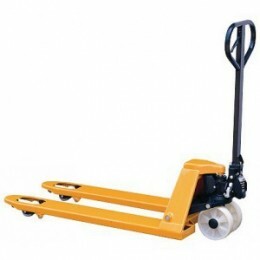 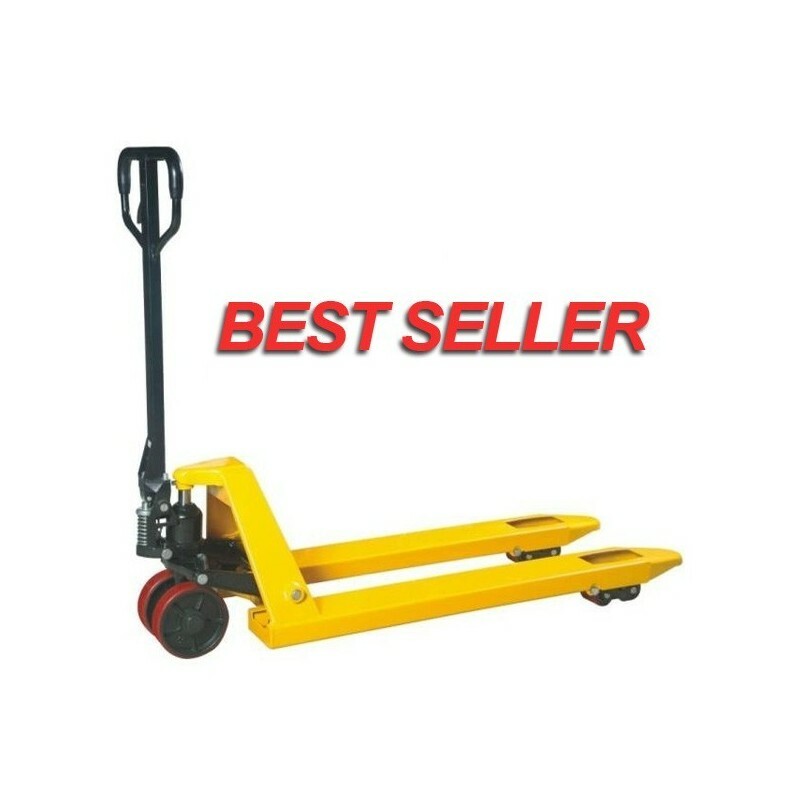 2 PU (polyurethane) entry and exit rollers prevent physical exertion of the operator and protect load rollers and pallet.